I’m really, really glad I had this preseason game to shake off the rust from the 7-month football shooting drought, because I was some kinda rusty. Whew!!! This was my first shoot of the season and my timing was still a bit off, especially at first, but by the 2nd half, I was starting to feel comfortable again. It was the Falcons vs. the Titans, in Nashville, and I’m there shootin’ for the Falcons, with Michael Benford and Jimmy Cribbs (two of the best guys ever). It was my first time shooting a night game at LP Field (all my shoots up there have been day games), so it was fun shooting a night game there, especially with all this new gear (see my post from Friday). I shot the game with two Canon 1Dx bodies (one with a Canon 400mm f/2.8 lens on a Gitzo monopod, and the other with a 70-200mm f/2.8 for when they get inside the 20-yard line). The lighting at LP field in Nashville was actually pretty darn good, so I was able to shoot at just 2,000 ISO all night while keeping my shutter speed at or above 1/1000 of a second. I shot wide open all night at f/2.8 on both bodies, and I pretty much used the settings I got from Peter Read Miller’s article (noted in my post on Friday), but with a tweak or two from Michael Benford, and one or two to suit how I’m used to shooting. This was my first time shooting with the 1Dx, and I gotta tell ya — it is a camera absolutely born to shoot sports. I shot at 2,000 ISO all night and you don’t even see any noise (I did no noise reduction). Michael says the Falcon’s crew routinely shoots at 5,000 ISO and you just don’t see any noise, but after the way they had raved about it, I was expecting insanely low amounts of noise, and that’s what I got. …the auto-focus system on the 1Dx. It’s AF is insane! It’s so fast, and so precise that I know I’m picking up shots I would have missed otherwise. That’s the part that really surprised me. I need more time with it to really get the little nuances of setting it up for my style of shooting, but of everything on this camera, that was what impressed me most. Everything about the 1Dx feels fast. I was shooting at 12-frames per second and I know that’s only 2-frames faster per second than what I’m used to shooting, but it felt like it was 10 frames faster. One thing I thought was really intriguing about the 1Dx is that it’s obvious that a pro photographer’s workflow was part of the camera design. It’s infinitely customizable (much more than I would have thought), and it’s very easy to get to controls that are usually buried under menus. I learned a number of very clever little things along these lines (I could do a whole episode of “The Grid” just about this). Another thing that surprised me was how fast you can scroll through your images on the LCD using the Quick Control dial on the back of the camera.You get spoiled really quickly (especially when you only have 24-seconds between plays to find and tag a photo). This is all stuff I’m sure you’ve heard before, since this isn’t a brand new camera, (it’s just new to me), but there was just a lot I hadn’t realized about using it. The images you see here are low resolution, 72 ppi screen res. The high res images that came out of the camera? Brilliant! Sharp. Crisp. Wonderful color. Plus, I love having 2-extra megapixels, because for football I can crop in just that much tighter. OK, so what didn’t I like? I thought the LCD screen on the top was a bit small and the type size is pretty small as well (yes, I’m getting old), and I’m used to a larger screen up there, so I would have loved to have seen a larger screen up top. The body itself feels pretty heavy (heavier than any DLSR body I’ve ever held), but at least that’s more than offset by a 400mm f/2.8 lens that is much lighter than previous models (and that made a big difference on the field). These next two things are both things where there may be an option to change their functionality, so if any Canon shooters out there know a way around these two, let me know: (1) To move the focus point, you have to hold a button on the back of the camera, then move the point with the tiny Multi-controller joystick thingy. I just want to be able to move the point without having to press and hold a button first. Also (2) I accidentally lowered the Exposure Compensation amount during the game and didn’t realize it for a while. So, in this case I actually want to have to push a button. That way, I don’t accidentally rotate the big dial and change my exposure. [UPDATE: As I suspected, some readers posted ways where I can move the focus point without pressing the button, and how to keep the Quick Control dial from changing Exp comp. Will try out both on Thursday — thanks for the tips gang!]. I know, I know, these are really nit-picky little things, but if it affects how you shoot, I think it’s important. I’ll get another chance to try this whole Canon rig again on Thursday night when the Tampa Bay Buccaneers host the Washington Redskins (I’m covering Bucs home games for Zuma Press again this year). I’ll probably have to crank the ISO a bit (especially when I put a 1.4-teleconverter on it, effectively making the 400mm a 560mm f/4 lens), and I’m anxious to see how that goes. Also, by then I’ll be more familiar with the camera controls; I can tweak and customize more of the settings (I learned some stuff from Michael Benford during the game), and I can work on my timing to get ready for the regular season. Thanks to the Falcons Crew! My humble thanks to the awesome Jimmy Cribbs and Michael Benford for the opportunity to shoot with you guys. It is always so much fun! My seminar tomorrow is sold out in advance (whoo hoo — almost 600 photographers), but if you’re going to be there, make sure you come up and say howdy. My next tour stop is September 13th in Miami, so get your ticket before it’s sold out!. Have a great Monday everybody. Next PostHow about a Free Expo-only Pass for Photoshop World Las Vegas? Thanks for the help Matt. You don’t have to use the multi-controller to change focus point; once you press the AF Select button you can use the Main Dial (the wheel near the shutter button) to move horizontally through the AF points, or the Quick Control Dial (big wheel) to move vertically. Also, setting the Power Switch to LOCK will prevent accidental changes to your settings. Look up Custom Function C.Fn5:2 – it allows you to specify if the Main dial, Quick Control, or multi-controller is locked when the power switch is set to the LOCK position. Scott, can you post a similar setup for D4? I would also love for you to do a pro/con with Canon/Nikon (opinion). Hmm, I thought I smelled a whiff of Autumn in the air today….Scott Kelby is back shooting football! That was a great blog post about the game, Scott. You sounded like a kid in the candy store talking about the 1Dx. That’s a seriously great camera. I love the photos, as usual, especially the shot of the Titan’s player being tackled by multiple Falcons. I’m anxious to start the Annual “Spot Scott” game, but it won’t be this week, as my local feed will be the Pats vs. Giants. You should go on the road to Foxboro to see the Pats host the Bucs! :-) Or MAYBE you can shoot the Atlanta home game the following Sunday night (vs. the Pats)! I’m actually a huge fan of the joystick for selecting the focus points. You can also push the joystick straight down (like a button), and it’ll move your focus point back to the center focus. Push it down again and it’ll move your focus point back to your previous spot. I use it non stop for composing images in baseball for batters then centering it for action on the field. Hey Brad — thanks for the tips. I like that trick for moving the focus point back to the center focus. Very handy! I’ll be using that on Thursday. Thanks again! 1. HOW TO CHANGE ISO AND SEE THE EFFECT IN VIEWFINDER: On the Canon 5D3, you can change the custom control menu so that pressing the SET button and moving the dial controls ISO. In the custom control menu SET:ISO with a down arrow next to it indicating dial. Then when shooting in manual mode, you can hold the set button and while turning the dial to change ISO and SEE the affect on the meter. Yes, no more trial and error adjusting ISO! My pet peeve was that I could see the meter move when I adjusted my aperture or shutter, but I seemed to have to click on the small ISO button and then guess at my ISO without seeing the effect on the meter. Now with the SET button pressed, I can dial in a different ISO quickly. HOW TO CHANGE MFC/JOYSTICK TO CHANGE AF POINT: The other setting I always change is so the multi-controller selects AF (without any other buttons) for quickly toggling AF points. Also if you press it straight in, it will return to the center AF. This is in the custom controls menu as well: the bottom right the icon that has arrows going out from center:change from OFF (default) to AF point direction selection, or the icon that looks like AF expansion box. Now you can quickly use the MCF to move and select other AF points when toggling. NOTE ABOUT WAKING THE CAMERA: Changing AF does not wake the camera, if the camera has gone to sleep, I need to hit the shutter button to wake it, so I changed the meter time to 30 seconds to delay sleep and keep the camera awake and AF active longer. I hope this helps. I’d love to see a post with your settings once you have it configured to your style of sports shooting. Thanks for the ISO tip. Not being able to see how ISO effects the exposure live in the viewfinder meter has always bothered me since switching from Nikon. Never would have figured this trick out. I’ve told you multiple times (Like you don’t know) that you are blessed. Someday, I too, will get on the sidelines. D4&1DX,in your oppinion,which one is better? Can’t wait to see the Bucs photos. Wow, the 400 really helped with the reach that you need even if you are down on the field. I have some pictures of you on the side line. Where can I send them? I new it that you will love the Canon EOS-1D X! I hope to see more comments in The Grid. But the referee was still out of focus as were the cheerleaders ….. Speaking of which how was the focus set on the 1Dx? Thanks for sharing your images & camera gear experiences on the field. I really appreciate your sport photography. I use your advise when shooting both my teenagers on the baseball & softball fields. I MUST try out the 1DX…you’ve got me pretty excited about this body! Thanks Scott! Good stuff, Scott! Re the small LCD screen on top, my geezer eyes have the same problem, so I never even look at it. You can just press the Q button to see (and adjust on the fly) all your settings writ large on the rear LCD. Also, the metering and noise reduction on this body are so good that I’ve stopped shooting action in Av mode. Instead, I shoot Manual mode in Auto ISO. It saves ever worrying about motion blur. If you get a chance somewhere down the line, I’d love to know what settings tweaks Michael recommended. Hey Scott, with noise being a relative non issue would you ever consider switching to a 200-400mm for the zoom versatility, yes they are f4 but w such a long lens the DOF field difference would be minimal. Just curious. I’ve got the Nikon 200-400mm and while it is really handy, in my experience it doesn’t have the same “look” as either a 300mm f/2.8 or a 400mm f/2.8. It’s a super-sharp lens, but the glass isn’t very large on the 200-400mm, and the “look” just isn’t the same. I don’t know if it’s the size of the glass, or the optics, but it’s definitely a different look, and once I got my 300mm f/2.8 I stopped shooting the 200-400mm. It’s that much different (to me anyway). I am intrigued by the new Canon 200-400mm (which I haven’t tried yet), because it has the built-in 1.4 teleconverter, which I think it pretty slick, but I have a feeling the depth-of-field might not match the larger primes. Hi Scott, I was wondering if you experimented with the customizable autofocus “cases” of the 1DX and your thoughts/preference when shooting football. Thanks! Case 2, where it continues to track a single object, ignoring possible obstacles, seems to be a great option for those situations when trying to keep focus on a specific player, like a running back or wide receiver with defenders surrounding them. Was chatting to a Getty photographer after a game about the 1Dx and he told me that even though he has D4’s to set up remotely, he doesn’t bother anymore – just uses the 1Dx. Nikon have their reasons for putting the best sensor in the D800 and giving the fastest camera D4 a different sensor, but I think Canon got it right putting the best sensor in the fastest camera – you don’t need/want to shoot sport at full resolution, but would have been great to have the D800 sensor resolution when doing portraits or landscapes. Bit of a bummer when the $ 2,000 D600 comes out with a better sensor only a few months after the A$7,000 D4! Scott, for the next game, why don’t you use a D4 +70-200 2.8 and 1Dx +400 2.8 in first half of the game and swap the lenses for second half which will give you a same day comparison? 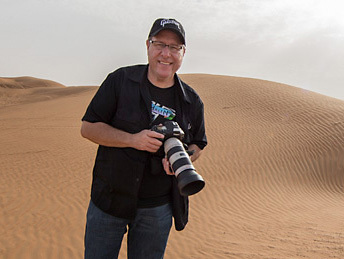 Hi Scott, Your photographs are amazing! I really enjoyed seeing them – thanks for sharing! H Scott, I have got 1D mark IV. When i shoot sports i use Av mode, set in the Custom Functions the Lowest shutterspeed at 1/1000st and set the Exposure Safety shift at Enable (ISO Speed). Now i even can set the ISO at 100 at a night game. The camera automatically raises the ISO to get to the lowest shutterspeed of 1/1000st . Hey Scott, if you like football, and we know you do, you need to come to Pittsburgh and shoot some Steeler football :-) I think you would like it. What I didn’t see mentioned in any of the focus point tips, so sorry if I missed it, when the camera is awake (pressing the shutter button half way) pushing the joy stick straight in will return the focus point to center, and pressing straight in again will return it to where it was. Love the shots !! Planning on going to your seminar in Livonia in September lots to learn !! Hi Scott, do you know that i am so glad to see lot of beautiful photo shoot and it is very helpful me however i do practice your tips. thanks for a very informative article. Actual capture …really I’m being a fan of you # Scott. Your capturing images are really alive and most creative. I wish if were a photographer like you!!! !